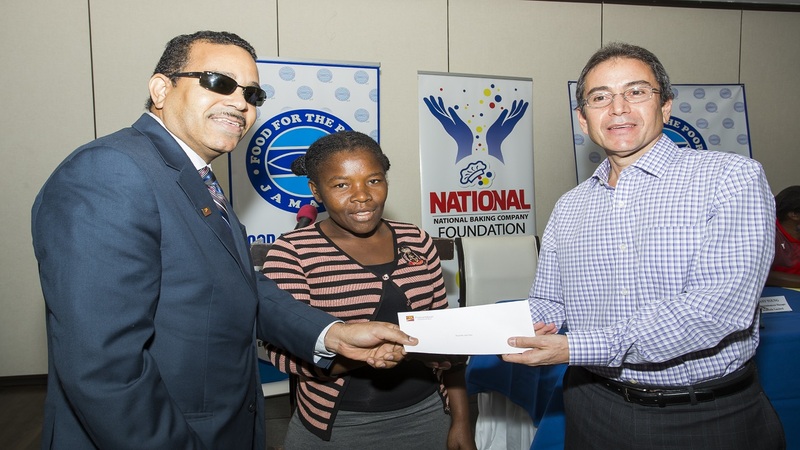 Food for the Poor and CIBC executives at the handing over of the bank’s donation. 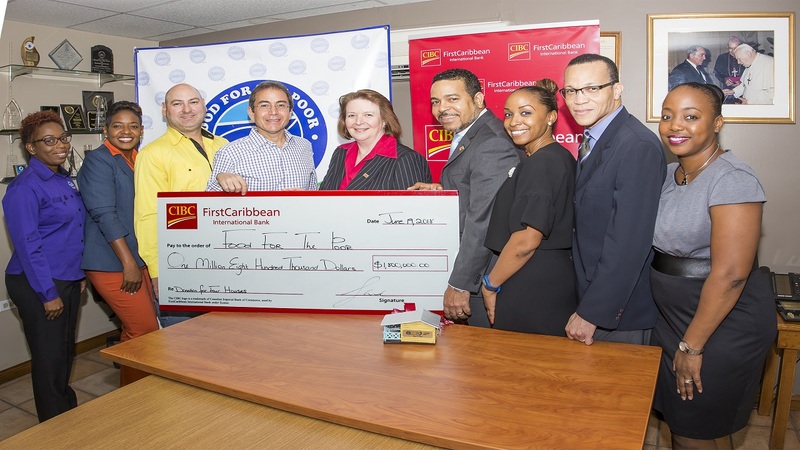 The partnership between CIBC FirstCaribbean International Bank and Food For The Poor (FFP) has been further strengthened with the bank’s donation this week of $1.8 million for the construction of four houses for needy Jamaicans. The bank previously funded the construction of 11 homes on the island. 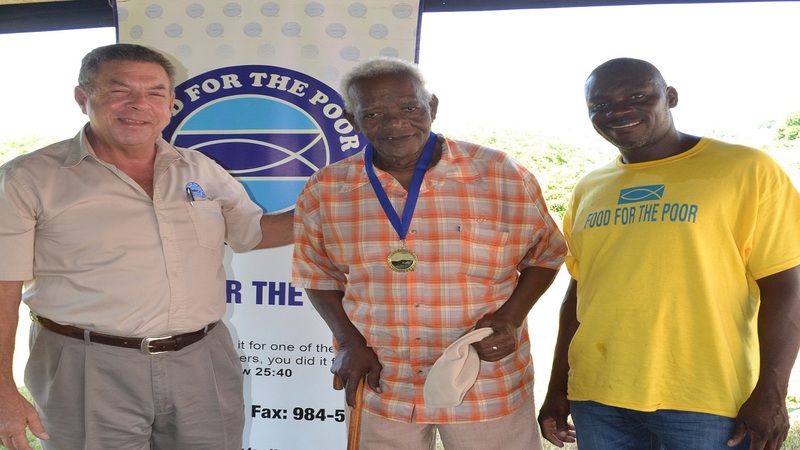 Food For The Poor, the largest charity organization in Jamaica, is the local arm of the Florida-based FFP – the largest international relief and development organisation in the United States of America. The interdenominational Christian organization assists the poor in 17 countries in the Caribbean and Latin America, providing emergency relief and aid programmes in the areas of housing, food, medical, water sanitization, education, agriculture outreach and microenterprises. CIBC FirstCaribbean has been supporting FFP since 2010, when the bank contributed to relief efforts in Haiti following a devastating earthquake and again in 2016 following Hurricane Matthew. The funds donated by the bank helped in the dissemination of food, water and other critical supplies. 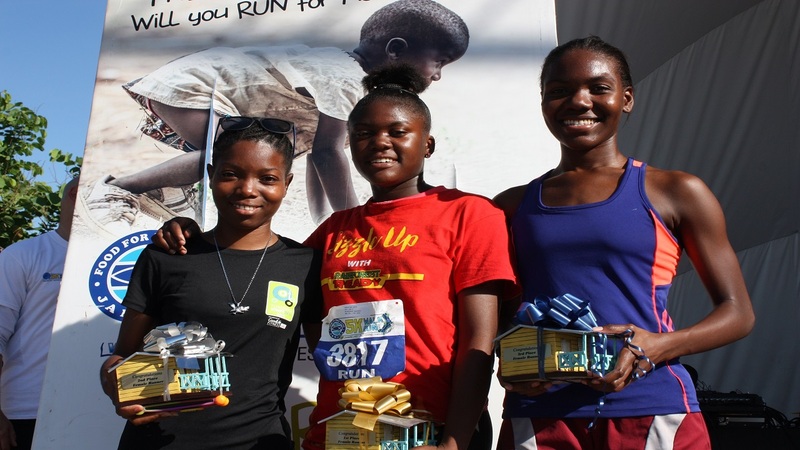 Last year when FFP launched their “Make a Difference 5K Initiative” with the aim of building 100 homes for needy Jamaicans by year end, CIBC FirstCaribbean International Bank funded the construction of 11 of the houses. “The Make a Difference 2018” goal of 100 homes has reached the 50 mark and he thanked CIBC FirstCaribbean International Bank for their continued support and partnership.